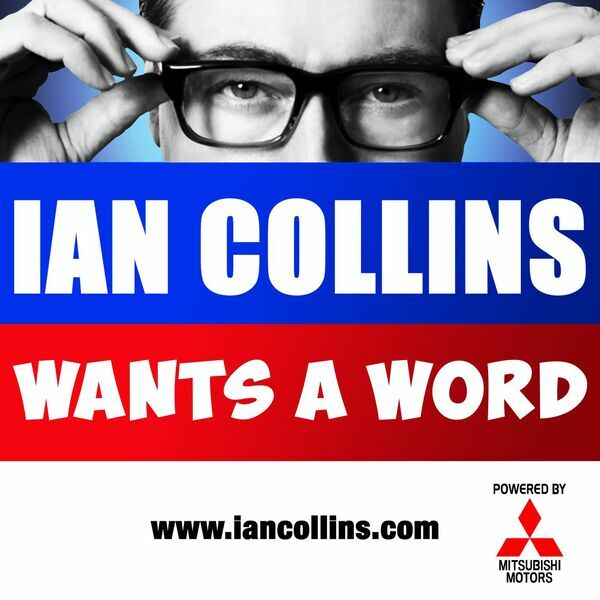 Ian Collins Wants A Word - Ep 90 - THE PREPOSTEROUS POMPADOUR! Ep 90 - THE PREPOSTEROUS POMPADOUR! Description: As the year seemingly speeds away into oblivion, we attempt to stall the inevitable with YOUR feedback via social media and email... a thorough analysis of your Random Acts Of Irrational Annoyance, and Sideshow Kev gets BANNED! Think of a number, multiply it by 5, subtract the number you first thought of - then follow @iancollinsuk and @sideshow_kev on Twittah. As the year seemingly speeds away into oblivion, we attempt to stall the inevitable with YOUR feedback via social media and email... a thorough analysis of your Random Acts Of Irrational Annoyance, and Sideshow Kev gets BANNED! Think of a number, multiply it by 5, subtract the number you first thought of - then follow @iancollinsuk and @sideshow_kev on Twittah.